Catholicism began in the area as early as 1845; Catholic missionaries came to the settlement called Cornish’s Ferry. (Later called Osceola and, finally Algonquin). Bishop Muldoon dedicated the first church on July 11, 1915. It was located on the banks of the Fox River and visited as a mission church of St. Peter and Paul in Cary, by Father Joseph Lonergan. After World War II the area began to grow in population. In June of 1954, Bishop Raymond Hellinger appointed Fr. Raymond P. Eipers as the first resident pastor of St. Margaret Mary’s. In 1955, the parish purchased a ten-acre plot with a farmhouse, which was renovated for use as a convent, and built the combination school and church building. St. Margaret Mary School opened in September of 1955 with 130 pupils in the first four grades. Sr. Mary Joachim taught grades 1 and 2, while Sr. Mary Estelle taught grades 3 and 4. One grade was being added each year. By 1957, the enrollment for six grades was over 200. Three Dominican Sisters of Springfield, IL and one Jay teacher comprised the staff of the school. In 1956, The Altar and Rosary Society urged all mothers of children attending St. Margaret Mary School to attend their meeting. It was their hope to form a Mother’s Club within the society. This committee was reorganized as Home and School approximately 1980. Originally, Mass was celebrated in what is now classrooms 5 thru 8. There were no partitions and the area could seat 350 people. Grades 1 thru 4 were as they are now with a 4-5 combination. In 1958, the church moved to the lower level of the building opening the upstairs for classrooms. By 1959 all eight grades were operating. 1960 saw the first graduating class of 30 students. In 1961, there were 231 children, 5 nuns, and 3 lay teachers. The Library opened in November of 1968. From approximately 1969 to 1983, St. Margaret Mary students would travel to Algonquin Middle School for half-day sessions five times per week for courses in mathematics, earth science, history, industrial arts or home economics and physical education. By 1969 over 181 pupils were enrolled in eight grades in the parish school. At the present time, there are 231 students enrolled at St. Margaret Mary’s School. Here are a few of the changes the school has seen over the years. 1957: First uniforms worn November 1. 1979: Bus service began at St. Margaret Mary School. 1983: Convent moved – new church built/school office built. 1984: Eighth Grade began full time at school – no longer shared time with Algonquin Middle School. 1985: Dominican Sisters left after 30 years. The Motherhouse felt we were a strong school able to continue on our own. The sisters were needed elsewhere. 1991: St. Margaret Mary honored as a State School of Excellence. 1994: Foreign Language Program, Hot Lunch Program and Classroom Music Program. 1995: Construction of a Music room and a Computer Lab. 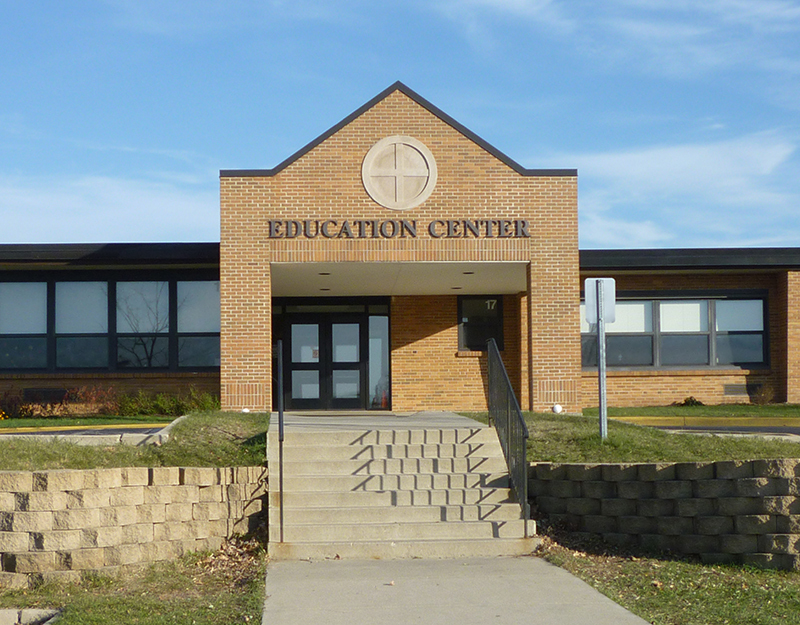 2003: Moved to the former Eastview School and began expanding to 2 classrooms per grade level. St. Margaret Mary School has been blessed with 12 loving, dedicated principals over the years. They began with Sr. Mary Estelle 1955-61; Sr. Norene 1961-67; Sr. Regina Marie 1967-71; Sr. Calista 1971-78; Sr. Judith 1978-82; Sr. Kathleen Ryan 1982-85; Sr. Kathleen Morrissey 1985-94; Mrs. Kathleen McMahon 1994-2006; Mrs. Sue Synder 2006-2012; Amy Johnson 2012-2016; Alison Malo 2017-2018; Brenna O’Hearn 2018-present. The school has also had the support and guidance of the following priests. Fr. Raymond Eipers 1954-62; Fr. Leo Ambre 1962-64; Fr. Edward Petit 1964-69; Fr. Joseph Reikas 1969-78; Fr. William McDonnell 1979-91; Fr. Joseph Linster 1991-92; Fr. Michael Tierney 1991-2011 and Fr. Peter Sarnicki 2011-present.